Get the most of out your work-space with our ergonomic office accessories. Pair our ergonomic office accessories with our Standing Desk Converters, Standing Desks, and Swing Chair to optimize your productivity and have a healthier work-life balance. We pride ourselves on our innovative ergonomic designs, rigorous testing, and our world class manufacturing process. 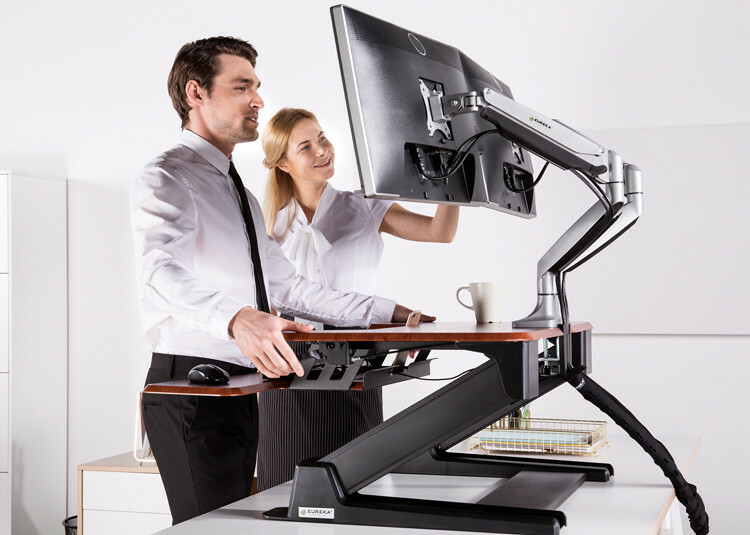 Try a Eureka Ergonomic standing desk converter and ergonomic office accessories Risk Free for 30-Days. If you don't like it, send it back. it's just that easy! Enjoy Fast & FREE Shipping* on all our standing desks and office accessories. Have a New Startup or Need to Upgrade your Existing Office?